I grew up in a family of home renovators, house flippers and real estate agents. I spent a good chunk of my childhood watching my dad, uncles and their crew make various houses and apartments look like a million bucks (even if market value was considerably lower!). I used to love scraping off wallpaper–I’m a friggin’ mastermind with a putty knife and some wallpaper remover solvent–and I love the smell of paint. It’s no surprise that early on, I learned the importance of primer. In the home improvement world, primer preps an area for the best possible paint job. Replace “paint” with “makeup,” and you’re reading one of my makeup philosophies. I love eye primer and would be lost without my beloved Too Faced Shadow Insurance. And for a wedding, event, or a client who has oily skin, I find face primer essential. Primers make products last longer, so if you have hours of makeup-wearing ahead, I really recommend using one. Recently, Jessica, a makeup artist I work with, recommended MAC Prep & Prime Lip to me. She uses it for all of her wedding clients and said it was one of her favorite products. I normally just line and fill in the lips with lipliner, prior to applying lipstick, to make the lipcolor last longer (and I supply my bridal clients with touchup lipsticks) but this idea appealed to me. However, I was a little hesitant. Although I had never used a lip primer, I had used long-lasting lip colors before and found them to be very drying (and the deep colored ones always seemed to turn bright pink after a few hours). But being a MAC fan–and having faith in Jessica!–I decided to buy the product. Prep & Prime lip comes in a slim lipstick tube and the product is white. It’s got a faint sugary scent, which I like. When first applied, it feels like a lightweight lip balm. It initially has a lot of slide to it, and is not sticky or thick. It absorbs pretty quickly, and smooths over the lip area helping to fill in lines and creases. It feels slightly tacky (but not uncomfortable) after few minutes, but I think it needs this consistency to make the lip color adhere. If it was too slippery, the lip color probably wouldn’t stay on. 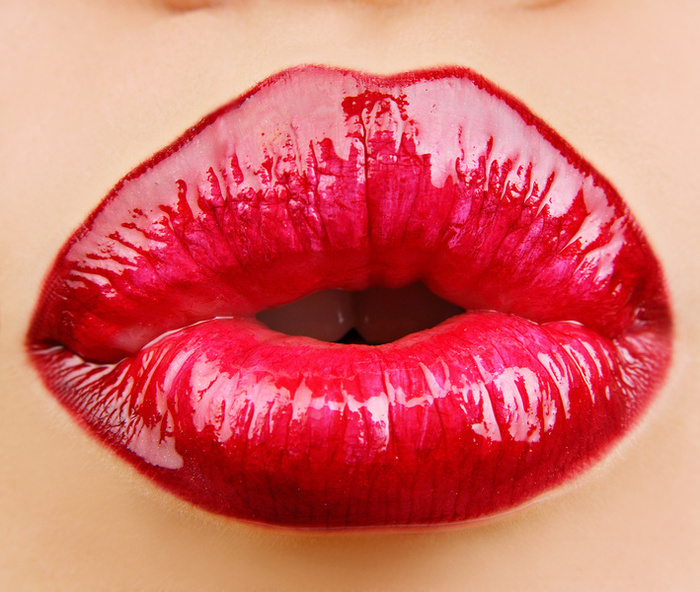 I tested the product on a few occasions, with a red lipstick, a bright pink and a neutral gloss. It really works! I know how long each of those lip colors normally stay on, because although I can not remember plot lines of movies, or what my license plate number is, I do know how many hours my lip products usually last before they need to be re-applied. The Prep & Prime Lip extended initial wear time by 2-3 hours with each lip color I wore. There were no cracking or peeling after-affects with this lip primer. My lips felt a tiny bit dry at the end of the day, but I usually get that just from wearing a full coverage lipstick alone, so I don’t think it was the primer. Plus, I’m horrible at drinking water and really good at drinking champagne, so any dehydration is probably my fault. Bottom line–if you need your lip color to last, this is a great product. And at only $15, it’s not a big ticket item. Available at MAC stores, counters, and MACcosmetics.com. As much as I love makeup, there are some (okay, many) days when I don’t have the time to do a “full” look. But I also want my skin to have a little bit of coverage, so I reach for either a tinted moisturizer, or one of my Face & Body foundations. Face & Body foundations can be used on the face and body (duh), so they are sheer and buildable. Since they are made for the body, they usually don’t transfer on to clothing. They are water based, and therefore very liquid-y (much different consistency than most regular face foundations). The two Face & Body foundations I have are MAC Face & Body and Make Up For Ever Face & Body. Just like we all learned in elementary school, let’s compare and contrast. 1) With one layer, both are very sheer. If you don’t need much coverage, but like something that evens out the skin tone a little, these are great. I think the MUFE F&B is slightly more sheer. 2) They feel very lightweight. You truly can not feel these on the skin once they dry. 3) Neither have SPF. This is good for photography, not so good for everyday wear (but you can always apply an SPF underneath). 4) They both give a dewy finish. If you have dry skin, you’ll love the feel and finish of these foundations. They do not cake up or catch on dry spots. I would say the MAC F&B gives a dewier finish though. 5) They need a good shake before applying. The formulas do sometimes separate and can be a bit clumpy if you don’t shake the bottle first, so just make sure to do that before application. 6) Both are buildable, but they don’t look visibly thicker as you build. 1) The packaging–MAC F&B comes in a plastic bottle, MUFE F&B comes in a glass bottle. 2) The color range–MAC F&B foundations are categorized by Cool (C) or Neutral (N) shades, MUFE shades are categorized by undertones in the skin (Pink, Yellow, Beige, and Olive). 3) The size–MAC F&B is 4 oz, MUFE F&B is 1.69 oz. 4) The price–MAC F&B is $33, MUFE F&B is $38. 5) The way that you build coverage is different. With the MUFE F&B, you apply a layer, let it dry, then apply another layer to get more coverage. With the MAC F&B, you apply one layer and the more you work it into your skin, the more coverage it gives. It’s really quite unique for a foundation to do this. They are overall both great products. I think the MUFE F&B may be more suitable for someone with combination skin, as the finish of the product is not overly dewy. On a combo or oily skin, the MAC F&B can be quite shiny if not set with powder. Once it’s set though, it is fine, and I have used it without a problem in both film and photography. I think the best part about the MAC F&B is that you pretty much get two foundations in one (generously sized) bottle. To get a sheer application, apply with a brush or lightly with fingers, and blend lightly with a brush or sponge. To get a heavier coverage, apply with fingers and rub into the skin (or buff in with a brush). If you use your fingers, you’ll actually feel the foundation getting thicker as you work it into the skin. I like both of these products and will continue to use and recommend them. I think Face & Body foundations are great if you don’t want to wear a traditional foundation, but want something with a little bit of coverage. They are even more sheer than some tinted moisturizers on the market, so I think they are the perfect choice for foundation-phobes. I hope I have helped you get a general idea of what these products are like. There are some absurdly tiny things about me–namely my wrists, my feet, and my top lip. In pictures where I am smiling, the lip is pretty much nonexistent. So I’ve always been one to eagerly try lip plumping products. I know that I will never have Angelina, Scarlett or Rosie lips, but a little help would be nice. I recently tried Buxom Big & Healthy Lip Polish from Bare Escentuals, to see if it lived up to its name. I’d like to think my lips are healthy, but big they are not. I tried the color Sugar, which is a gorgeous rose glow luster. The amount of shimmer or crystals or whatever they have shot through this shade is perfect. The particles are small, so you don’t get that chunky glitter look. Very, very pretty. The packaging is cute and simple, and the doe-foot wand gives the right amount of product. It smells like vanilla, which I love. This gloss is slightly sticky, but a gloss has to be to stay on. But again, the stickyness factor is really low, and my hair did not get stuck in the gloss once! (If you have medium to long hair, you know exactly what I’m talking about.) The formula was not drying, which I appreciate, because dry lips are never attractive. Nor does it leave a white residue after a few hours, which some glosses can do. And man, does this stuff stay on! I only had to re-apply a few times during the whole day, way less than with any other gloss I’ve tried. As far as the plumping factor, it did give my lips a little boost. Sometimes just a shiny, shimmery gloss alone will give the illusion of fullness, because it attracts light to the area, but I’d like to think something in this product actually increased the size of my lips. It has a cooling, menthol feeling, which I much prefer to the stinging, burning feeling some lip plumpers give. Overall, I really liked this product. It’s $18, which I think is reasonable. Oftentimes with glosses, you get what you pay for. A $4 gloss may seem like a bargain, until it wears off after 20 minutes.